Every jungle has its justice. Even if you’re a detective trying to find a missing child in your own neighborhood, even if you work with your lover and she’s a good business partner and equally great at what she does, even if you find the child and everyone says you’re a hero, you still are going to loose something on the way. The detective’s colleague/lover, knows this intuitively from the outset. Do not to touch this case. So she tries to carefully back out of the job. Maybe they need the money, maybe it appeals to his pride, or community feeling, maybe he just remembers the mother of the child from high school and wants to know what happened to her. A cloud, a web, a trap is being laid, not just for the lost child, but for anyone who tries to find her. Not since Jean-Louis Trintignant, the unbelievable French actor with a face of stone, have I seen such immobility emote so much. As you watch the Detective you see everything, thinking, feeling, shame, moral waste. He doesn’t move a muscle, yet you follow his changes in temperament and the turns in the story, like your being dragged down a secret river, by and undertow sure to drown you. When they get close to finding the child, there is a leap into the abyss that takes your breath away. The whole stinking, sinking decent into darkness that is child kidnapping and abuse is that leap. Even in jail, criminals peg these perverts lowest of the low. In a social milieu filled with degradation, there is no step lower on the scale. Murderers of adults feel superior to those who harm children. Maybe they are. But what criteria are you using, and who are you to judge? There is no Hollywood ending to this story and it’s an honor to see it conclude the way it does. A damaged detective sitting sentinel to a child, not playing, not smiling, not the old and they lived happily ever after, in the last five minutes, after real devastation. He is a silent true guardian and you have the sense he came to earth, is inside his skin, and part of this neighborhood, to do just that. Don’t ever underestimate where the center of humanity is really sitting. It could be in the ghetto you never go to. And the mother who lost her child? She’s no more that a child herself, she hasn’t really changed. She still needs the attention she never received as a child, and cannot really give. There are choices in this film of deep morality, a confrontation that demands to be seen, where criminal justice and human responsibility collide and don’t let go their choke hold, with easy answers. Unlike Mystic River, (and this story comes from the same author) when a woman tries to make him a hero, the detective doesn’t fall for that siren song, to cover his shame. This is a mature film which forces us to adjust our assumptions about who we think we are and about what makes anyone good or evil. Every jungle has its justice, whether in Hollywood, or at home on Boston’s mean streets. That this film ever got made, is a justice all its own. This movie has performed a miracle. We are watching a small slice and rare retelling of the history of American involvement in Cambodia. We witness US abandonment of the country, the rise of the Khmer Rouge and its revolution which resulted in, the murder and enslavement of the Cambodian people by a political cult. What makes this film stunning beyond The Killing Fields, or Swimming to Cambodia, is that we experience it all through the eyes of a seven year old girl. There are no politics more incisive than the judgement of children, upon the adults who run and ruin the world. Witness photos of hungry children reaching out with begging bowls, the late night admonishments of charity for children in need, meant to move us from the comfort of our sofa instead of flipping channels and doing the only foraging we know, from the fridge resplendent. All the faces of these very real children are made personal by this film, and you can’t look away. The child who is watching us in the film, could be ourselves. She’s dancing to western music, playing games with her brothers and sisters. No distance separates us from her fall, as up close we see her degradation by political fanatics. She goes from being a “privileged” middle class child in the city, to becoming a refugee peasant in her own country, a child slave and child warrior. She doesn’t even understand the mines she buries at the command of her military superiors until she sees others blown up, and then must walk through the field she has mined, herself. Because the camera does not flinch from the child’s judging eyes, it makes our hearts go out to her, finally cleansed of all denial, and ready to engage with our own collusion in the wounds of the world. See this film for many reasons, to understand our history, as a country involved with the people of Cambodia. See it to remember being a child and judging with wise eyes, the follies, failures and unforgivable acts of the adults who control children’s lives. See it to understand the beauty and simplicity of the Father, who as his family falls into poverty, simply says to his disapproving daughter, “Yes, now we are poor too.” See it, to witness the courage of the Mother, who only through forcing separation from herself, ensures the survival of her kids. It is the tiny scenes of intimacy, tenderness, and touching, the vast silence above the heaven’s eye shots of human migrations and escape, the dream sequences of dancing demons and mythic shadow play foreshadowing village carnage, which in the end all come home to roost in our hearts. Angelina Jolie has always been a very interesting and responsible Director. With this film she has gone on to be a much greater one, and she can go even further. Of course the ending reuniting the children resolves the story. Yet, there is a cord of music which is the dissonance of war and the reconciliation beyond peace, that if played simultaneously, resounds in the human soul forever. Play there. We will go there with you. You have something valuable and deep to say, and you have the forum for it. Go beyond where you are already standing up for humanity. We are waiting to see it, with our child’s eyes. I’ve decided to watch all of OZU’s films. So started with his masterpiece “The end of summer”. Three generations of a family and their friends, go about their ordinary lives in the most simple unassuming way, and yet there is major drama. The patriarch of the family worries everyone. He’s not paying attention to a once thriving business and instead is walking away secretly in the afternoons, to visit his “geisha” who is a girl no longer, but a middle-aged woman with a teenage daughter herself. The older couple sit. Drink tea. Talk old times. His three daughters worry about him. Then have him followed and he’s found out. He is scolded, cajoled, almost dies, and then they reconsider their silliness. Meanwhile, they too have their own secrets. One daughter wants to marry, but not the most likely of suitors. Another wants to be alone as a widow, and has no regrets. In the end, everyone does what they want, but not what is considered the most socially advantageous. How courageous these small acts. The scene where the two sisters share their secret but differing paths is like a beautiful haiku. They kneel elegantly. Look out over a lake. Its’ like a tea ceremony, all truth, beauty, simplicity. Sometimes when you visit Japan you realize how beautifully mannered this culture is. In one of my first visits, when descending an escalator in a department store, I found a greeter thanking me for reaching the next floor safely. Ozu’s films are like that. Thank you for reaching down into the heart of summer. Tread delicately. Yes, there is aging and dying here. But there is also beauty and truth. Let us be grateful and graceful. The only thing more fun than watching this deadpan British comedy, is imagining being at the meeting where they pitched the idea. What? Are you kidding? Well, obviously, and the writing, acting, and directing of this little gem is so spot on, you laugh every minute without a laugh track anywhere! The story includes a small British town and its folk, our two “heroes” the not up to speed guys and their set ups against the totally wicked and ridiculous “Archeological Establishment”. They too are hapless blokes, but just don’t acknowledge their hapless-ness the way our heroes do. And…they just happen to look like Simon and Garfunkel. Mere accident… of course… One of them is even named Paul, (snort of laughter here). Then there are the heart-felt loves and day in the life characters, so finely drawn any superficial take makes them all nincompoops! But no… each and all seem actual people you’ve had the misfortune to meet at one point or another in the real world. We laugh not at them, or with them (they rarely laugh), but for them. Especially we laugh for our heroes, the lost romance of men longing for days of adventure on high seas, befuddled by the modern world, searching to find, or dig up, a more illustrious history. It has to be hidden somewhere…here… just below their feet. These are our sad and poignant clowns, like Buster Keaton, Charlie Chaplin. We laugh because they show us ourselves, amidst superficial finds, all bottle caps and buttons, yet still longing for greater worlds and vaster treasure. At a certain point, one of our “heroes” is asked to move on by the police while waiting for his teacher girlfriend outside her school. He has discombobulated a few worried mothers who suspect he’s a pervert. Mortified, he asks his girlfriend upon arrival, whether he looks like one to her. “Oh…No!” she says, to his earnest weasel face, “more like a drug addict”. With great relief he moves forward. This come up in the world assessment of his visage assures him of what improved fate, one wonders? Yet, it’s the beauty of the ending that makes you want the show to go on. Won’t ruin it for you, but worth every penny, to make a metal detector ring to the tree tops, or awaken long-buried Kings. “Is Steve Jobs an Artist?” asks a recent New Yorker article following the movie. It’s not the right question. What kind of art form is a computer? Now that would have been a better question. The closest art form we all recognize is architecture. What is code? A language which creates the bricks of machine architecture, heating, plumbing, electric, to continue the analogy, the guts of the machine. What is the design and marketing of the object containing code? It’s the architect using those same bricks to build imaginary worlds. Medieval people must have been struck speechless, seeing great cathedrals made by a groups of artists, rise up out of the mud of their times. The computer’s architectural shock, is the ability to connect the human mind and body, through building blocks called apps and media, which then interface with and create new worlds, in the real world. Add mobile devices, and you have an architecture that is ever moving and evolving all at the same time. In this world wide architectural art form Steve Wozniak wrote code, he was a master brick maker. Steve Jobs was the maestro of a world wide symphonic architecture. He took the code and built things and relationships with it. Sometimes he created this art form in his garage, sometimes, on his kitchen table. His offices were just a temporary nod to the shell connecting one to past architectural forms. All the time he was creating inside himself. You too are encouraged to use these tools to do the same. Not everyone has a cathedral inside them. But everyone can contribute to the process. Jobs revamped entire businesses and even created many new ones. Even advanced techies were dumfounded by his leaps. If anyone bought into a film/tv production based on earlier models of whiz bang, it was money wasted. Anyone with an iPhone camera, computer and software can now make feature films and tv from a suitcase, and do. New architecture changes peoples relationships to old structures. Medieval people may have lived in hovels, but they now could visit a cathedral. Soon after the homes of the multitudes also changed. The Renaissance was all about a new use of space, both personal and public. The same can be said of computers. So if the computer is the architecture of the future, now, what kind of artist was Steve Jobs? As anyone who actually knows a real artist understands, they “see things different.” Right. Whether Jobs was “nice” or not, is also not the most interesting question. There are many people who are not what ever the going version of “nice” is, that don’t create what he created. A better one would be, are people in general “nice” to artists, visionaries, anyone who thinks different? Even more rare than a cathedral, I say. Rare. Rare. Rare. C A Hall, has been a techie since before she saw her first computer. An award Winning Writer for Film & Television, she Directs/Produces and Designs at Spellbreaker Studios and consults on media and education. This film has magnificent acting by Juliette Binoche and not quite so magnificent by Clive Owen. I kept asking myself, why is this so? She portrays a great painter twisted by physical pain, he a great writer savaged by alcohol. Mr. Owen does some wonderful bits of acting too. The beauty of his physical gestures when he finally kisses her. The embodied shame, when he’s forced to admit he’s stolen a poem from his own son. Really well done. So why does his character not work at the deepest level? Mr. Owen is miscast, not because he’s a bad actor, but because he’s playing the wrong thing. He portrays his character like an adult juvenile delinquent with a fast mouth. He does not portray great intelligence and vast talent fallen into drink. Though his characters’ medium, his art form is words, you don’t get the feeling he’s someone who’s danced in the garden of language and then been barred by a fiery angel at its gates, by his own hand. Meanwhile, Ms. Binoche’s character takes us with her on her journey. She transcends the pain of crippling arthritis, to go beyond limitation, to paint beyond the physical barrier of her own body. Renoir also had to have brushes tied to his hands in order to continue to paint, once every joint in his body betrayed him, seized by the ice storm of disease. To want, no, to need to express oneself, when the physical body is refusing to express that need! Wow, we see her struggle so clearly. Also, she plays with a full-bodied maturity and heaviness of a person who has pushed themselves through into “fine art”. We don’t know what fine art really is, she demands her students to understand, but that is where we are working. She’s like a mountain. With Mr. Owen you feel he’s playing at a lost greatness, he never really attained. This is not the character, as written by Gerald Di Pego, who also wrote Instinct, another great film about language and silence. So enough comparisons, what about the rest of the film? It shows the privilege and boredom of elite schooling, the interplay of politics and education, the smallness and competition of administrators, teachers and students. Most poignant, the scenes of sexual hazing and bullying by a student, who just can’t understand why his “joke” gets caught. All threads woven into a tapestry story of dueling artists, who end up playing a duet. Yet, it is the magnificence of Ms. Binoche’s painter that remains, when all is said and done, or said and painted. Let both these actors continue to reach higher. Mr. Owen, if you could study intelligence more carefully. The pain of being a poet and then failing ones’ words and having nowhere to hide, because you’re so smart…play that true, if you get another chance. Ms. Binoche, you have a different problem. Lets just keep giving you parts worth your talent. The world class bicyclist Bartali, races to a convent in Assisi Italy, and then without speaking returns home to his wife and children. Is this one of the great ethical acts on planet earth, and if so, why? Those of us concerned with ethical dilemmas are always hounded by beginners, which is fine, and pretenders, which is not. Both pose the following ethical question: “Would you lie if you were hiding Jews and Nazis are at your door?” How can you reconcile these two opposing ethical requirements? The naive really want to know “the right answer” so they don’t have to think for themselves. The pretenders only pretend they want to know an answer, in order to catch you on the horns of an ethical dilemma. But the goal of the question, is not for the teacher to give the “right” answer, but for each student to question themselves. As in, I don’t know, what would you do? But the unsung heroes in this film, know the real answer to that question, because they’ve been put to the test. Their answer is the truth of their own individual action. Almost an entire town in Italy and the surrounding countryside were quite up to the job of answering. Not through idle debate, but through individual choice, in real life, in the middle of World War II. My Italian Secret: The Unsung Heroes is a great documentary. An enormous number of Italian people opposed Fascism, both their own country’s version with Mussolini, and then ultimately by facing off the violence and genocide of the Nazis, who scoured their countryside looking for Jews and other scapegoats to murder without trail, or send to the camps. So many Italians stood up to help these people, but without any of the surging heroics usually portrayed on the subject. Instead it was the simple knowledge in the heart which guided many. I encourage everyone to see My Italian Secret, because it is rare to see this stance in any film, much less a documentary. Bartoli the cyclist drops off forged papers into a mailbox without speaking. The papers are passed on by the Abbess of the convent to those needing to escape to freedom and safety. So many others in the surrounding countryside were also equal to the ethical question: What would you do if the Nazi’s are at your door? Let’s back up a minute and look at this area of Italy where the classic age sounded its horn and the Renaissance flowered. Great Humanist traditions around the world are a source of wealth arising in the human heart, which can determine ethical direction anywhere. For Humanism is not so narrow in scope, as to be for or against any religion, group or country. How can it be? Humanism shimmers in us all, rises at the dawn of each human awakening, and predates all religion. It is the individual wellspring from which spirituality arises and ultimately returns. For an individual human being is the source of ethical choice. Bartali says only that we must never take credit for this kind of good deed, as it is won by the misfortune of others, which is why this was an Italian secret for so long. The Abbess says only, she hopes that when she gets to the gates of heaven and tells of her sin of lying to the Nazis, that she is forgiven. Let beginners be warned, many were tortured or lost their lives who stood up. Let pretenders slither back to easy untested opinion. The human heart decides who a person really is, and what questions are really worth answering in life. Do see this film. It is rare, and it is real. 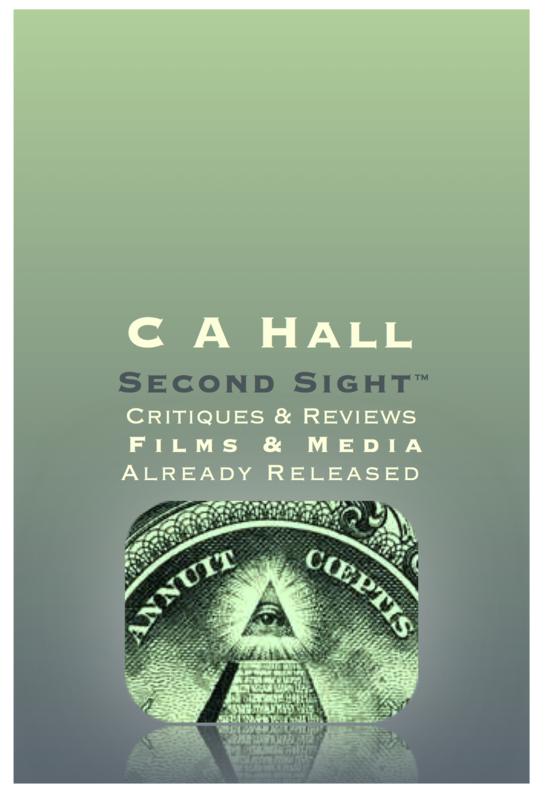 C A Hall is an award winning writer for Film & TV. Love to hear your experience of this film. A very interesting film from 2929 Productions, distributed by Magnolia Pictures, which follows a certain line of endeavor by this group of artists and business people: unmitigated commitment to the deep. This is a difficult story, of plainer less glamorous Americans, facing hard times and the psychological hardships of inner turmoil, not bandaged by easy therapeutic modalities. No they don’t sparkle with the usual heroic gymnastics of American studio made films. Not all problems are overcome in bright light, at the last moment, for the betterment of humanity. Bradley Cooper and Jennifer Lawrence star. You get to see the growth of good actors working out characters of depth and complexity. The second theme consistent with the interests of this group of film makers, is that intuitive knowledge is the feared but firm bedrock of the American soul. One of the characters has visions, knows things, but instead of being tutored in the arts and boundaries which would allow him to keep both himself and others safe, he lowers his knowing into a form of murderous protection. He kills. Without spoiling anything, he also comes to a tumultuous reckoning for his actions. We as Americans have yet to be able to address intuitive knowledge without resorting to hysterics about witchcraft, or diminishment through humor. This time it is the old man in the woods who knows things, and is punished for it. Yet you get to see what fear and ignorance does with this power. I am watching the growth of Magnolia, 2929 and Bier, in their unwavering commitment to difficult subjects, done slow, with a new form of American insight and artistry, that enters the dark. Since the great recession in 2008 research shows Americans are more willing to consider serious subjects in film, and even in music, are willing to hear things in a minor cord instead of with bright major cords and resolutions. This film is a good example of that willingness. These stories harken back to our grandparents and further ancestral lives. We are given the opportunity to see present American concerns, prior to our own times and versions. What seems obvious to most of us now in this film, includes the arguments on ecology, wildlife, working protections, colonialism, and even unwed mothers, all exposed at their origin stories in the American psyche. A gigantic panther, which the main character hunts, is an image for that desire to control and kill something beautiful, wild and powerful. What refuge do humans have against this outer prey, when they have not tamed themselves? I’ve worked with refugees. Nothing in your life prepares you for the experience. Einstein helped to set up the original Refugee organization, the IRC, to help people fleeing the Nazis, in World War II. To help them escape, whatever it takes, that is what the United States did, and still does, by giving refugees shelter. To meet a person fleeing religious or political persecution, is not at all the same as immigration. Many people in the US get this mixed up. Most of the people I met who were refugees, had seen their spouses, families, communities, decimated. Sometimes their loved ones murdered before their eyes. Only a few people each year are given permission to escape to the US. They are provided temporary shelter and about $900. American dollars (yes, count it, $900), to start a whole new life. Many are completely alone. Now imagine that’s the highest, best, but most desperate thing you can do, to save your life, and the lives of anyone you love who is still breathing. Now lets look at this film. He wakes the next day, but this time his repetition is broken, by a woman running toward him on his land. She is stumbling, beaten, insane with fear, a refugee from a war torn area of the world. She runs to him, then away, then tries to escape. He finally is able to subdue her enough to put her in a shower. She is bloody, filthy, animal like. He then puts her to bed in his enormous pajamas. When she wakes, she has no idea where she is. She tries to kill him, and escape again. Slowly she comes to, realizing he is a safe harbor, even though she is still hiding from those who are trying to hunt her down. She hardly knows English, but knows enough to try to earn her keep. She begins to put the house in order, which causes the man to go mad with grief. It is her helping him, which reveals his story. This is a good film to watch if you want to know what is happening right now in the world today. How the most venerable of all people are being treated, just because they tried to escape from worse. VULNERABILITY, at all levels is the issue for the refugee, always hyper alert to the dangers they have already escaped, always trapped, at best by misunderstandings, even by the people who have given them this wary shelter. They remain always open to being exploited through isolation, loneliness and displacement. I give this film the highest rating not as film making, though there is beauty in it, but as humanity making. Though this is a story of so called “redemption” watch it and weep.